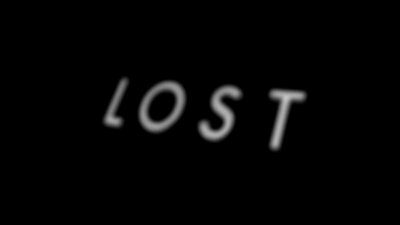 I am a huge fan of the TV show Lost. The writing is brilliant, the plot is both engaging and unpredictable and every episode leaves you wanting more. What else could you possibly ask for in a TV show? What has been equally impressive to me, in addition to the top-notch writing and plot, is their effective use of social media and viral marketing programs to generate buzz. The show’s marketing is an excellent example of not only the effective use of social media but also of the use of multiple marketing channels to build and maintain a loyal community. If you have never seen Lost, the program chronicles the lives of the survivors of Oceanic flight 815. 815 is a flight from Sydney Australia to Los Angeles, CA that crash lands on a mysterious and supernatural island somewhere in the South Pacific. While there are no “typical episodes”, most focus on the survivors lives on the Island while featuring a secondary plot that is focused on an individual character during another point in their life (note to newbies, time travel is a big component of Lost). One of the aspects of the show that has captured the speculation and imagination of fans is the show’s elaborate mythology. This mythology has been the driving force behind hundreds (if not thousands) of viewer created sites and blogs focusing on theories and speculation on the Island’s past and the outcome of the show. Sites like DarkUFO and “The Numbers” not only feature fan discussion forums but also include user generated podcasts and videos, fan fiction, episode summaries, photos, spoilers and much more. The marketing was effective because it leveraged the passion of loyal fans and multiple marketing vehicles (both print and online) to build an active community. Below Damon Lindelof, Executive Producer of Lost, talks about some of the innovative marketing and effective use of multiple forms of media to generate buzz for the show. While you probably don’t have an ABC-sized budget to to drive your marketing there are some great lessons from Lost that marketers should consider as they develop their marketing programs. Success in marketing, especially in social media, comes from having a deep understanding of your audience. Without an understanding of who your audience is and which vehicle(s) is best to communicate with them can lead to the failure of your program. The producers of Lost took the time to know their audience up front and to communicate with them through the channels they were most comfortable using. They also took the next step by empowering their audience to contribute and drive the conversation. Empowering customers is a difficult concept for many brands to grasp because it goes against the way most of use have been trained to market. As marketers, we are comfortable delivering messages when we want to deliver them, to the audiences we choose, through channels we select. Allowing the audience to discuss and market our products and services outside of the guidelines and oversight of corporate marketing can be a difficult pill to swallow. My good friend Chris Brogan recently wrote a post called “Empowering versus Marketing” where he said “Today, I’m thinking about how empowering people matters so much more than marketing to them.” As you think about your marketing programs take a lesson from Lost and ask yourself what can you do to empower your market? Lately I have been speaking at a lot of social media focused conferences and have been hearing how traditional forms of media are “dead”. Print is the vehicle that seems to get the most criticism and tends to fall into the “going the way of dinosaur” bucket. In my opinion, modern marketing is all about leveraging the types of media necessary to engage your audience. If you follow step one and take the time to know your audience and learn about their preferences you may find that print is the best way to reach them, or you may discover 99% listen to podcasts, you may find that 85% attend a certain conference every year or they all listen to a particular radio station everyday. While social media currently has a lot of hype and is buzzword of the day for marketers, it’s important to not lose site of the fact that your marketing goals have not changed. While there are new ways of marketing your products or services, your ultimate goal is still to engage your audience, generate leads, build awareness, drive conversions, etc. To do that you need to engage with your audience through the channels that they are most comfortable with. Lost used a combination of print (Lost Magazine, Novels, Messages in a bottle) and digital (podcasts, videos, mobisodes, fan forums) to facilitate a dialog, drive buzz and gain viewers. As you look at your campaigns ask yourself if there are other channels you can use to communicate with your audience? Identifying and empowering specific key individuals (or types of individual) can help build your audience faster than mass marketing to your target audience as a whole. This type of marketing identifies the individuals that have influence over potential buyers (or viewers in the case of Lost), and orients marketing activities around them. A couple of weeks ago I did a webinar with David Meerman Scott, author of New Rules of Marketing & PR and World Wide Rave, and he tells the story of the launch of the Wizarding World of Harry Potter at Universal Studios, Orlando. Cynthia Gordon, vice president of new media and marketing partnerships at Universal Orlando Resort, launched a program to tell the world about the new park by only informing seven influential bloggers. By targeting and enabling these seven individuals, word quickly spread to over 350 million. How’s that for an ROI? Similarly, prior to the debut of Lost, the show producers previewed the pilot episode to more than 3000 at the Comic-Con conference in San Diego. The demographic in attendance was primarily young technology enthusiasts whom the producers of Lost had identified as influencers for the show. In addition, the producers launched multiple websites before the show hit the airwaves. These microsites provided limited details on the characters and storyline as well as provided ways to dialog and connect with other viewers. These tactics were aimed at identifying and empowering influencers who were likely to spread the word about the show and encourage others to attend. As you are executing your marketing programs ask yourself, who are the influencers of your product or service and have you taken the time to engage them? A common component of some of the most successful marketing programs in history is an element risk. Marketing innovation is all about stepping outside of what is comfortable and avoiding a natural fear of rejection. Every marketing program contains a certain element of risk and the producers of Lost asked many of the same questions some of my customers asking before beginning a social media program: “Will customer empowerment hurt my brand?” “What if people say negative things about my brand?” “What if we build a site or community online and no one shows up or no one participates?” “What if this doesn’t draw any buzz or achieve any of our stated objectives?” “Did we target the right people?” The key for them was embracing the risk and remaining confident the programs would be effective. After you finish reading this post ask yourself if their are ways you can make your marketing stand out? What is the competition doing and how can you take it to the next level? Since season 1 the producers have made it clear that they pay attention to the conversations of fans and take the time to enter into dialog with them. On several occasions the producers have highlighted fan theories during their podcast and rated them and incorporated fan discussions into episodes. As you think about your own marketing don’t be afraid to give up control to your fans. Think about how they can help drive you messaging and create buzz. What do you think? Is there anything else I missed that might be good takeaway from Lost?